Do consumers dream of chatty ecommerce? Today, consumers are talking to different devices and buying more than meets the eye. They especially value the speed, ease, and comfort that voice provides in the sometimes tedious task of buying online. So, the answer to whether consumers dream of talking with ecommerce is that they do not dream of talking to ecommerce stores – they already do that thanks to the voice assistants and devices they buy – with ecommerce. A recent survey by Mastercard on the use of purchasing assistants in the United States (Is anybody there? Giving Conversational Commerce a voice) showed that 87% of consumers are familiar with the voice and text assistants of various brands, and 66% claim to have used them to buy products. In Europe, according to the Conversational Commerce study of the Digital Transformation Institute of Capgemini, one in five consumers has used voice aids to buy from an ecommerce or used voice aids to make payments or deposits at a bank. The study delves into the interests of consumers and confirms that convenience is decisive for the use of voice assistants, with 52% of users saying that they prefer these devices over a website or an application. Forty-eight percent of consumers say that voice assistants allow them to tackle multiple tasks simultaneously and do things hands free – which again points to demand for ease and convenience. Various companies specializing in ecommerce and global consultancies, such as PwC, Kantar, OC & C Strategy Consultants or Deliante, have conducted surveys and research in their quest to understand the expectations of consumers. Although the results differ depending on the objectives of each investigation, the overarching conclusion suggests that voice commerce could become the norm in online buying and ultimately drive the revolution that is electronic commerce. Who dares to start the conversation online? Just before the start of the Christmas shopping season in the US last year, electronics ecommerce Best Buy announced the possibility of making purchases using Amazon devices. Using the “Alexa, talk to Best Buy” command, consumers were able to make their end-of-year purchases using voice. A few months earlier, supermarket giant Walmart (a major Amazon rival in the retail sector), joined the voice commerce revolution when it signed a Google collaboration agreement allowing its customers to make purchases using voice with Google Home. Many other brands are also experimenting with different forms of voice commerce to reach their customers – with very positive results. Starbucks, with the command “Alexa, tell Starbucks to start my usual order,” lets its customers place an order as they leave home so that they can simply pick it up on their way to the office, for example. 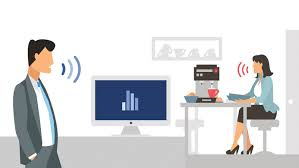 But voice commerce goes beyond voice commands, this is only the first stage of a new scenario in which the voice assistants of the big players (Siri, Google Assistant, Cortana, Alexa), the voice devices (Amazon Echo, Google Home, Alibaba Tmall Genie, Apple Home Pod) and the voice marketing cloud (voice integration systems with marketing solutions, such as Alpine, Invoca, Netcore), all coexist. Of course, there are various initiatives and developments that a brand can develop by combining artificial intelligence and voice technology to create assistants with their own names, as Movistar did with Aura or Bank of America did with Erica. To learn more or to discuss how voice is disrupting ecommerce, feel free to get in touch with me on social media.